The first piece in the customer relationship puzzle is contact cards, this is where individual or company data is stored such as, company size, sector and turnover and at contact level; education, hobbies and interests. 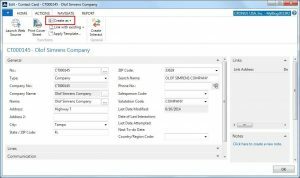 With the ability to define which fields should be the same or “inherited” by contacts of a company, such as address details, users can reduce input and duplication. Default field set ups can again reduce admin, these are aimed at fields with a common answer, for example if most of your contacts are UK based, the country field can be filled in by default, manual input is only required if the answer differs from the default. 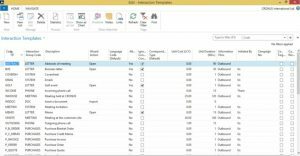 Keeping the database clean is important, with Dynamics NAV 2016 you can remove identical contacts with the duplicate search functionality which will automatically filter for records that are the same by a specified percentage. Duplicate contact reports can be run via periodic activities to highlight contacts allowing you to compare side by side. We have blogged before about best practice in customer contact strategies, and how important it is to reduce “contact fatigue” and achieve a personalised approach. Segmentation is very important in managing your communication and is especially useful for marketers. 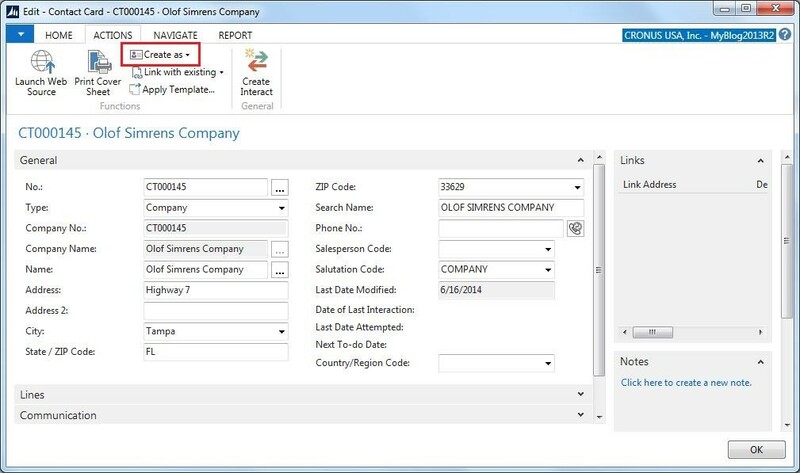 In Dynamics NAV you can use most contact fields to combine criteria and refine or reduce a segment. Users can create contact segments based on criteria such as hobbies and interests or geographical location. You can build contact information using profile questionnaires, this information can be prioritised from very low to very high. Questionnaires can be created across all contacts or by a certain business relationship type, allowing sales and marketing teams to focus on a customer campaign for example. 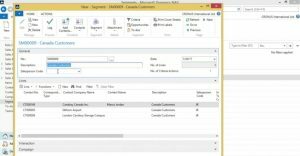 Microsoft Dynamics NAV can also pull information to automatically complete questionnaires, for example to interrogate purchase frequency in the last year in order to discover your most consistent or profitable customers and tailor campaigns accordingly. Your contact strategy becomes tailored and prioritised by using this segmentation functionality within Dynamics NAV, allowing you to rate and categorise your prospects and customers. Maximising sales productivity and controlling the sales process is a key element of a business management system. NAV Relationship Management helps users track and follow up on opportunities within the sales pipeline. , Sales and marketing users can manage the opportunity life cycle and easily record interactions and set next steps in order to ensure best practice is followed; from emails, reminders through to quotes and invoices. In addition to recording and driving these interactions, users can manage the documents that relate to that opportunity or activity – this helps with improving transparency for other users if queries arise or indeed speeds up the process when the sales professional returns to the task in hand. 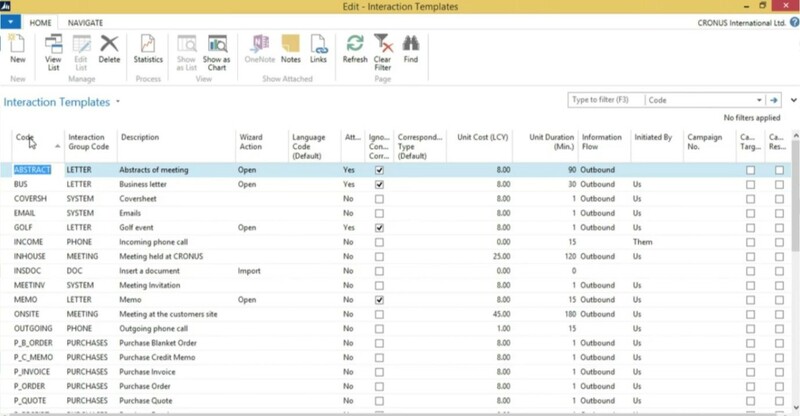 Document management within Dynamics NAV includes Interaction templates and merge fields to send standard documentation or set standard actions such as an import if users want to bring in an external document. Sales and marketing efforts work better together. A common issue is that the two teams work too independently of each other; so whilst marketing might set up and run a campaign they do not see the resulting opportunities and analyse ROI; or sales might not know which campaigns have been sent to the accounts they own or be able to discuss parameters such as price, discounts and minimum order quantity for promotions. 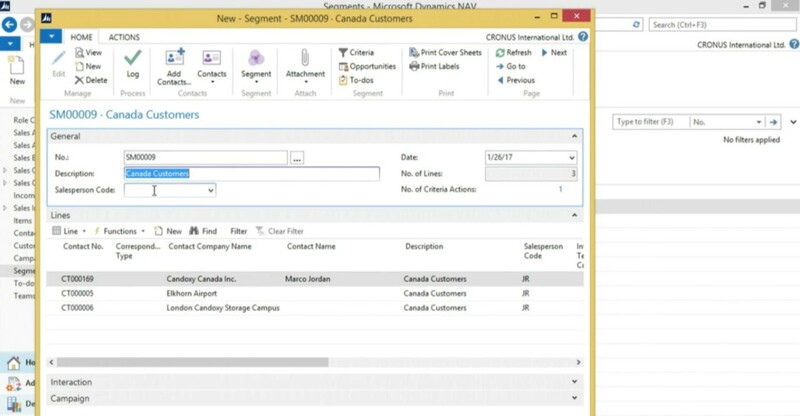 When users manage campaigns within CRM in Microsoft Dynamics NAV they can alleviate these issues, by specifying these product and price parameters from campaign set up, in addition to start and end dates. Once the campaign has run, status codes can track progress and campaign cards can allow transparency on arising opportunities and invoices. 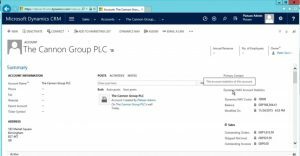 The power of the connection between Microsoft Dynamics applications comes into play both when organisations are using the relationship module within Dynamics NAV or if they wish to integrate Microsoft Dynamics CRM with NAV itself. Customers can be created in NAV based on accounts in CRM at both contact and account level; and visa versa. Also within NAV, you can view a Dynamics CRM statistics box to view open opportunities and cases, and in CRM you can view financial management data such as balance and outstanding orders that has been fed from NAV, this is all to reduce switching between applications. 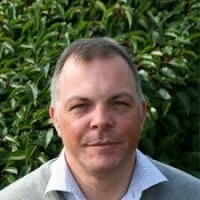 It is important that when considering whether to invest in CRM and ERP that you make sure the functionality alleviates your company pain points, whilst ERP does have a relationship management module it is important to assess whether this functionality fulfils your company requirements or if an integrated Dynamics CRM model would be better. If you need guidance on the correct solution for your business contact Prodware today. Being part of the success | Are you considering a sales role in Microsoft Dynamics?